The 2018-2019 school year is set to begin on Monday, August 20, 2018 for the Class of 2022 and Tuesday, August 21, 2018 for the entire school. The estimated enrollment for the 2018-2019 school year is 465: 245 boys and 220 girls. The faculty will include 3 Administrators, 1 Diocesan Priest, 1 Ursuline Sister and 35 lay persons. Six new staff members will join the Ursuline Faculty; Mrs. Alana Campbell (Art), Mrs. Korie Jesse (Guidance), Mr. Donald Rudolph (Religion), Mrs. Kay Kay Scudier (English), Miss DeAnna Sheffler (English), and Miss Miranda Timmins (Art). 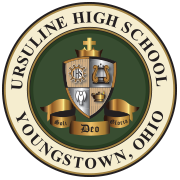 Ursuline High School will implement the “1:1 Program” for the Freshmen Class of 2022. The program will provide each member of the Freshmen Class with a Chromebook. The total cost is $50,000 and has been funded by alumni support and an anonymous donor. “1-to-1 Programs” are also known as ‘anywhere, anytime, or laptops for students’ programs. These programs provide students with personal portable computers to enhance opportunities for learning. The devices help schools engage the digital generation by nurturing individual (1-to-1) learning experiences. The Chromebooks will allow students to more effectively use Google Classroom, a learning management platform used extensively by Ursuline faculty. The Advanced Placement (AP) Capstone Seminar course has been added to the curriculum. AP Capstone is comprised of two AP courses – AP Seminar and AP Research. It is designed to complement and enhance the discipline-specific study in other AP courses. Sociology has also been added as a new course. Building improvements were conducted over the summer including, safety upgrades, asbestos removal, air conditioning, a new Art Studio, technology upgrades, roof and door improvements. The Opening of School Prayer Service will be held Friday, August 31 at 10am. Families are encouraged to attend.